Take hold of innovation with the Aveda Air Control Hair Spray, a flexible and lasting hold hair spray — suitable for all hair types. 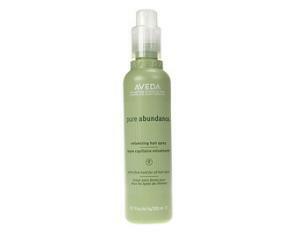 The Aveda Air Control Hair Spray offers light and flexible hold derived from pine resin and certified organic flaxseed. The innovative, water-free formula sprays on dry leaving hair soft and touchable. With a irresistible 100% natural aroma derived from nutmeg, clove bud, vetiver, patchouli, bergamot and lemon oils this spray will give you long-lasting hold without the stiffness or crispiness of traditional aerosols. 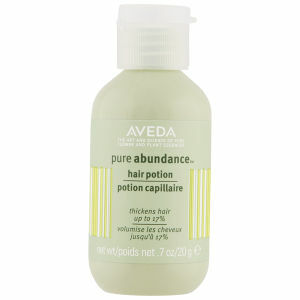 Use in conjunction with the Aveda Air Control collection. For a tousled look on longer hair: after washing, towel dry and rough-dry hair with hands and a blow dryer. When dry, lift sections of hair and spray evenly through sections as they slip through your hands. Tease with your fingers. For an elegant twist: tease hair, spray then smooth with a natural bristle brush. Pull hair up into a French twist and secure with hair pins. Finish with another fine mist. The hold of this hairspray is good but the smell is very overpowering. I have to hold my breath and walk out of the room as soon as I stop spraying. It actually catches the back of my throat. I use Aveda shampoo and conditioner and love the smell of them, but I wouldn’t re-purchase this hair spray. Purchased Aveda Air ControlHair Spray 300ml as a gift for a friend. They were really delighted, appreciative and really loved the product. The product had been mentioned in a conversationto me, also to how expensive it was. I looked on your site and happened to get it at discounted price which was great! So we were both winners. Me because it was cheaper, my freind who really loves the product. The ordering and delivery services were brilliant too. Thank you from a happy customer. Great service. Thank you. Wanted a hairspray with good hold but not one that made my hair stiff or sticky. Admit I liked the look of this in the sleek silver can and after reading product details thought it worth a try. It does hold my hair in place but still leaves it soft and leaves no stickiness. Has a pleasant smell too. Pleased with this so far. Good product, the only thing that I don't really like is the smell of the hairspray, but other than that is good. Have used Aveda products for a number of years and just love their products as they have good ingredients in them and don't upset my for skin. Again I have used Air Control hair spray for a few years and have always found it to be good, not heavy on your hair but still controls any fly away hairs. This Aveda Air Control Hair Spray is the most amazing spray I have ever used. It never leaves your hair sticky and brushes completely out every time. 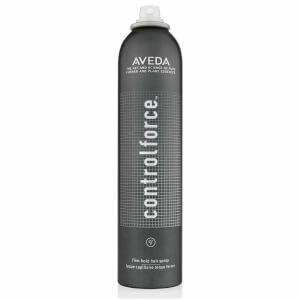 Lovely Aveda Air Control Hair Spray which I have used for a long time. The Aveda Air Control Hair Spray does exactly what it says on the tin; it's perfect for my very fine hair and provides a super hold. Have used Aveda Control hairspray for a number of years. It is great to use and brushes out easily. It also gives your hair sun protection. 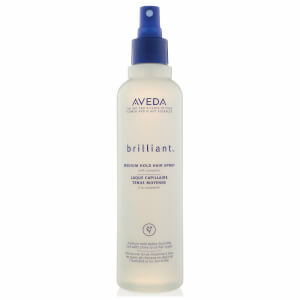 All in all Aveda hairspray is a great product like all their other products!